In July 2018, Mr. Trevor L. Williams was appointed as the Chief Audit Executive of Florida International University’s Office of Internal Audit. 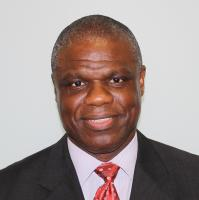 Mr. Williams has a long and distinguished career spanning over 33 years in accounting and auditing, inclusive of both internal and external auditing. During his years of auditing, he has been involved in performing, coordinating, and directing financial, compliance, and performance audits in a wide variety of areas including construction, transportation, education, financial services, risk management, pension and health benefit plans, maintenance operations, contracts, and grants. In addition, he currently serves on the Association of Local Government Auditors’ Peer Review Committee and was a mentor in the 5000 Role Models of Excellence Project and Big Brothers/Big Sisters programs, where he mentored young men in the community.